For quite some time I was convinced that I had some sort of magic mirror in my bathroom - some sort of magic ‘Jekyll & Hyde’ mirror that is! When I did my hair and makeup before leaving home in the morning I thought I looked fabulous. But when I arrived at work and checked myself in the mirror there, I saw a completely different face. OK - I know my mirror wasn't to blame. The problem was the poor lighting in my bathroom. How we look in a dimly lit room and how we really look in the harsh light of day are two very different things. Take a hand-held mirror and walk around your rooms. Find the window that offers the best light at that time of the day. Is it your bathroom, bedroom, kitchen, laundry? Wherever it is, consider whether it’s feasible to mount a mirror on the wall, or even a small hook so that you can hang a mirror when needed. What kind of window covering do you have? Can you open it up to let the daylight in, or replace it with something lighter? What about the walls? The lighter the paint-job, the more it reflects natural light. What kind of lighting do you have? Is your lightshade blocking the light and casting shadows? Is your bulb bright enough? 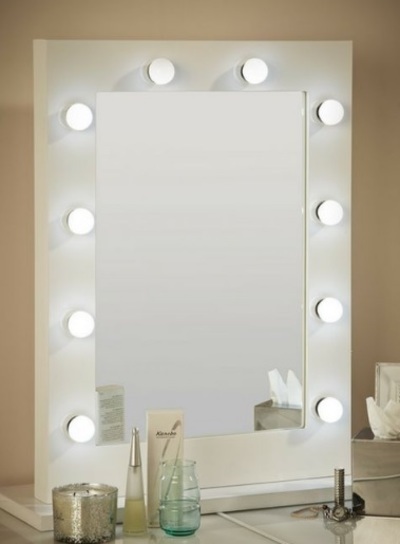 Perhaps you can add some strip lighting above or beside your mirror. 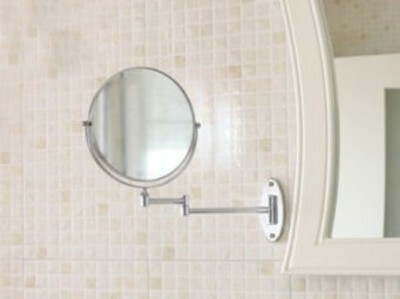 There are a variety of designs of adjustable mirrors available to suit the area where it’s needed. There are scissor-action or folding arm ones and even one with a bendable neck and they come in different colours and shapes. They can screw to the wall or clip onto a shower-rail or vanity-top. At the risk of sounding obvious – could it be your eyesight that’s the problem? There are a couple of ways to fix that. 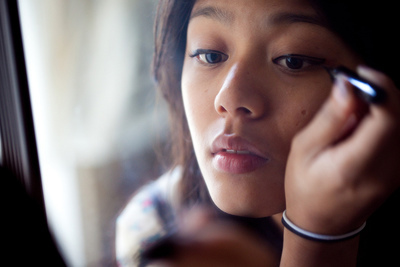 You could use a magnifying mirror or you might consider investing in a pair of make-up glasses. These allow you to use one lens at a time to be able to see what you’re doing with the other eye. With all the options available we should never have to face the ‘Jekyll & Hyde’ problem again.